Each region, country and time has their own songs of life. These songs have in common that they describe both the joyful and melancholy moments that shape everyday life. Also songs about universal themes such as love and heart break, sung with great intensity and devotion. Café du Monde is a musical production in which the most popular songs of life from over the whole world are performed. Tracks from The Netherlands, Italy, France, but also South-America. The song of life, chanson, schlager, copla, blues, fado, and smartlap in a fantastic musical production. Come and listen to the lyrical poets in Café du Monde! During the Roaring Twenties, music became a large part of life in the big cities, especially in New York. Hundreds, if not thousands of composers and musicians composed new songs day in, day out on Tin Pan Alley. Modern American music has its roots in Tin Pan Alley, where musical geniuses would take inspiration from each other and influence one anothers music: Eastern-European and Jiddish music blended with Italian music and jazz. 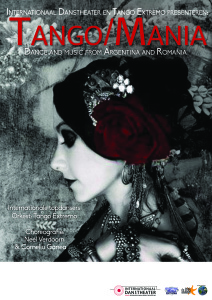 Balkan gypsy music crossed paths with sweet, British love songs. This brought about an unprecedented development that eventually would lead to music as we know it today. The music and dance of the 1920s mirrored the enthusiasm and vivacity of city life, the hustle and bustle of New York. People were intrigued by the unusual and unrestrained form of dancing. This dance form was performed in the vaudeville shows and musicals. In short, this period was a post-World War I Renaissance. The multicultural city life translated into art. This performance is an ode to the risk-takers, the innovators, the curiously minded, the crazy ones, and those who marvel at the wonders that life throws at us. 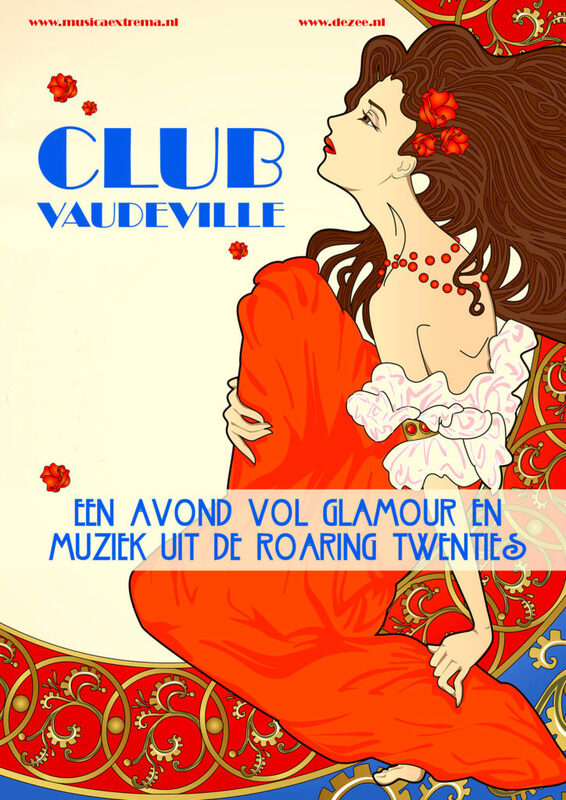 The album ‘Club Vaudeville’, with unique adaptations of popular French, German and American songs of the time, will be released on October 20, 2017. 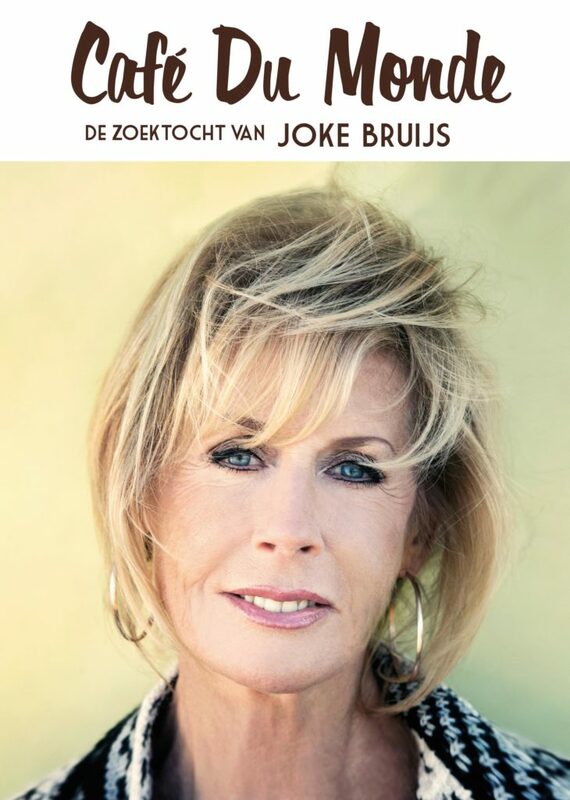 The theater tour will start off on Tuesday October 31 (14:00) in the theatre hall of Haarlem. Please visit the link for an overview of the entire tour: http://www.musicaextrema.nl/agenda.html. Jazz and classical musicians started to play entertainment music for the masses, inspired by folk music that traveled along with the large-scale migrations at the time. Jazz and classical musicians started to play entertainment music for the masses, inspired by folk music that traveled along with the large-scale migrations at the time. 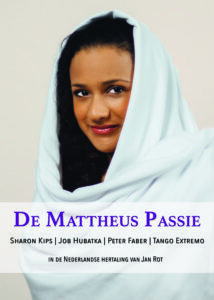 During the weeks leading to Easter, Tango Extremo will be touring the country with quite an extraordinary production: a unique adaptation of the biggest classical masterpiece of Western-Europe: The St. Matthew Passion. The group will be accompanied by two established names, vocalist Sharon Kips (famous from X Factor) and actor Peter Faber. 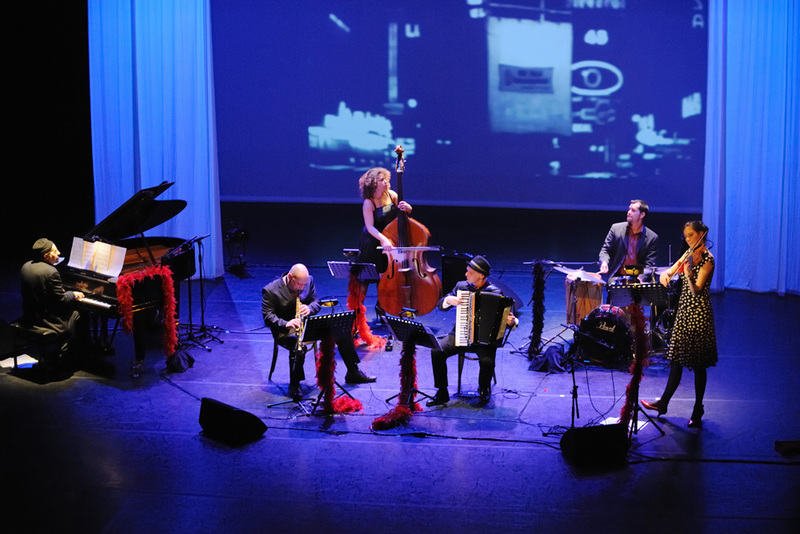 In 2017, The International Dance Theater and Tango Extremo performed with their production Tango/Mania. In this collaborative production, the International Dance Theatre, accompanied by Tango Extremo, moves from Argentinian tango to a dance style from the Black Sea region. Six leading dancers from the company, among which Michael Sastrowitomo (winner of the 2016 Talent Prize, Dancers Fund ’79 and winner of the Dance Audience Prize 2015) , brought unique choreographies by Neel Verdoorn and the Rumanian Corneliu Ganea to life. 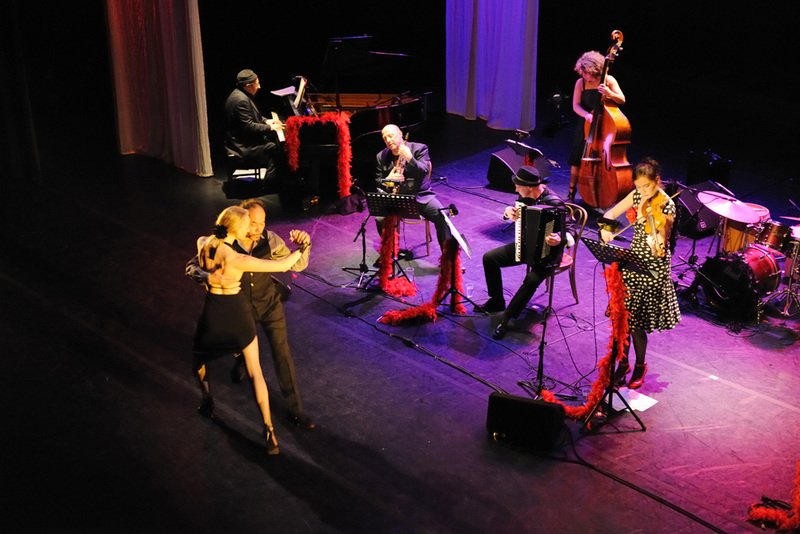 For years, the International Dance Theatre and Tango Extremo have been known for their daring and unique projects. This being said, it did not come completely out of the blue that these formations joined forces to develop the exceptional performance Tango/Mania. 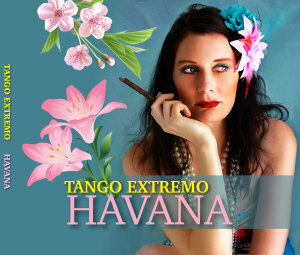 In September 2015 Tango Extremo came with a new exciting project: Havana. The orchestra has been influenced by the wonderful music of South American port cities of the thirties. Think of Cuban danzón and Argentinian tango that was played in the beautiful milonga’s, dance venues. The group will perform a blend of music from La Havana and Buenos Aires in theaters and concert halls in the Netherlands. 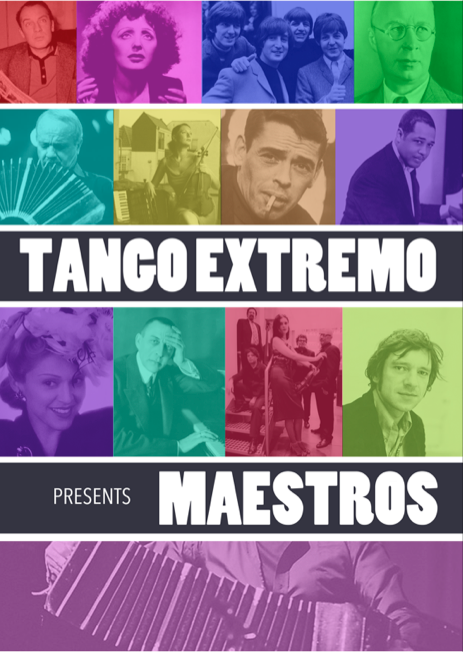 Especially for this occasion Tango Extremo added a percussionist to the band, the legendary Gerardo Rosales from Venezuela. The theatre program of Tango Extremo ‘MAESTROS’ was an ode to a number of leading composers of various kinds, but all with their own unique musical beauty. Some closer related to tango than others, like for instance Astor Piazzolla, but also a variety of composers that are not directly linked to tango, like Sergej Prokofjev, with the famous musical fairytale ‘Peter and the Wolf’ and the legendary second pianoconcerto of Rachmaninoff. Furthermore, what to think about beautiful compositions of Jacques Brel or Paul McCartney? ‘Tango Novo’, which means ‘New Tango’ in Brazil, was the 2012 production of Tango Extremo. One of the sources of inspiration for Tango Novo is music from Brazil. The group has arranged music from Brazilian musicians from different style periods, like Ernesto Nazareth and Hermeto Pascoal a.o.. The result was an impressive combination of the Argentinian tango with bossa nova, milonga and samba: a special blend of sensuality, passion, romance and Brazilian rhythms. Viva la Vida! 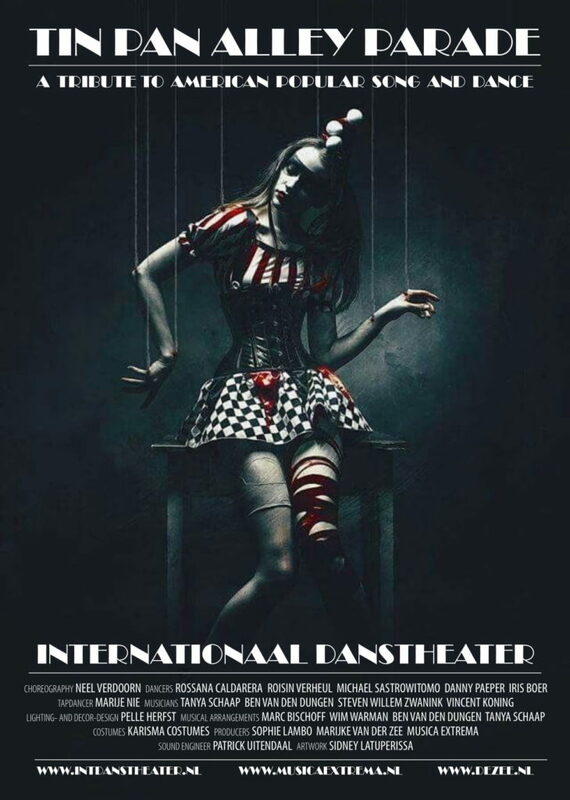 was a highly successful theatre-show that played from January 2011 until June 2012. Viva la Vida! was a tribute to love and to life in its strength and its fragility. The happy moments that can only be recognized because of the less fortunate. The shadow that only exists because there is a sun. In other words: life in all its ways. 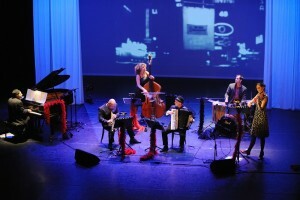 Tango Extremo has musically always taken a wide stand and this project presented this in a unique way. Viva la Vida! was a daring combination of traditional Dutch songs like ‘Het dorp’ by Wim Sonneveld, ‘Het is stil in Amsterdam’ by Ramses Shaffy and world-famous classical compositions like Tchaikovsky’s ‘Swan Lake’, but all played in beautiful tango-arrangements. During the shows, the group was supported by one of The Netherlands’ main tango dance-couples: Gabrielle y Rene. 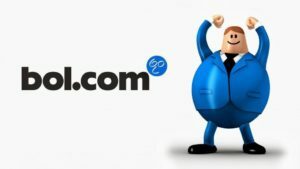 For more info about them: www.tangotalks.com.